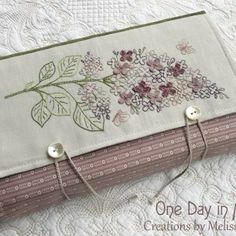 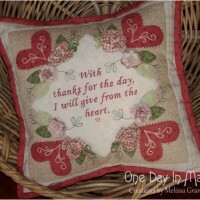 This pretty design combines embroidery, patchwork and lovely dimensional detail. 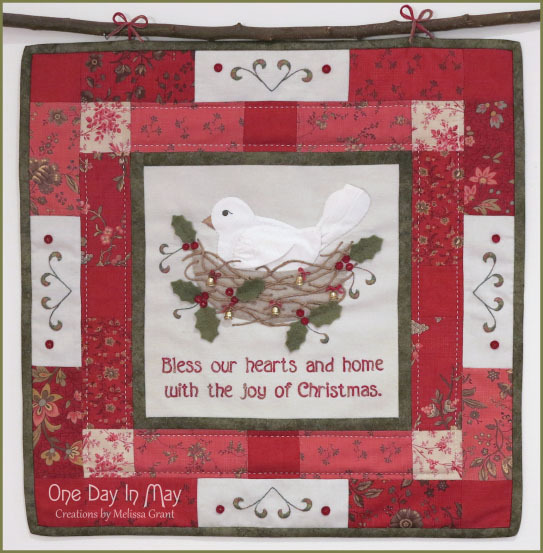 The central panel features a nesting, appliquéd dove with dimensional wing and tail. 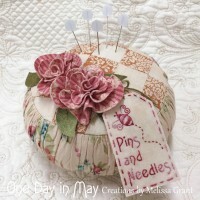 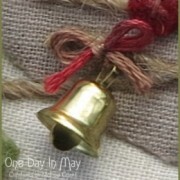 Her nest is also appliquéd and has added textural detail, achieved with the attachment of household string. This little bird has decorated her home for Christmas with semi-detached felt holly leaves and berries and a scattering of gold bells. 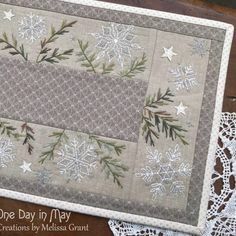 The outer border also has feature panels with leaf curls and berries, to reflect the design of the central panel. 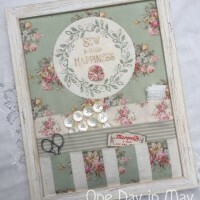 A 5” charm square pack has been used to complete the two borders. 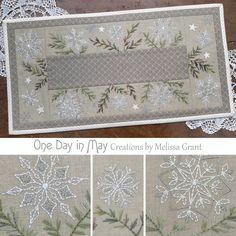 This sweet Christmas quilt is full of eye catching detail to enjoy. 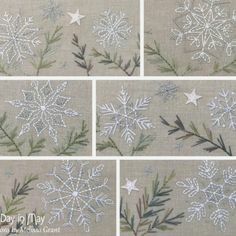 You’ll find semi-detached holly and berries, a happy dove with dimensional wing and tail and her lovely, textured and decorated nest.